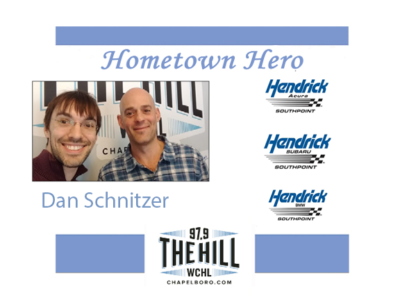 This week’s Hometown Hero is Dan Schnitzer, the Sustainability Programs Director for the Chapel Hill-Carrboro City Schools system. The school system just received a scholarship from the US Green Building Council’s Center for Green Schools – one of only five school districts nationwide to earn the honor. “The scholarship is a year-long program that will enable me to travel to two major conferences. The first is Green Build, which happened in Chicago about two weeks ago which had about 20,000 people there. That focused on green buildings, everything from technology to education to upcoming trends.